As a limited release brew, New Westminster’s Steel & Oak Brewing has created a Smoked Lager. 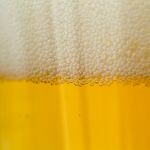 This beer is 5.5% alcohol and 22 IBUs for a moderate approach to an intense style. 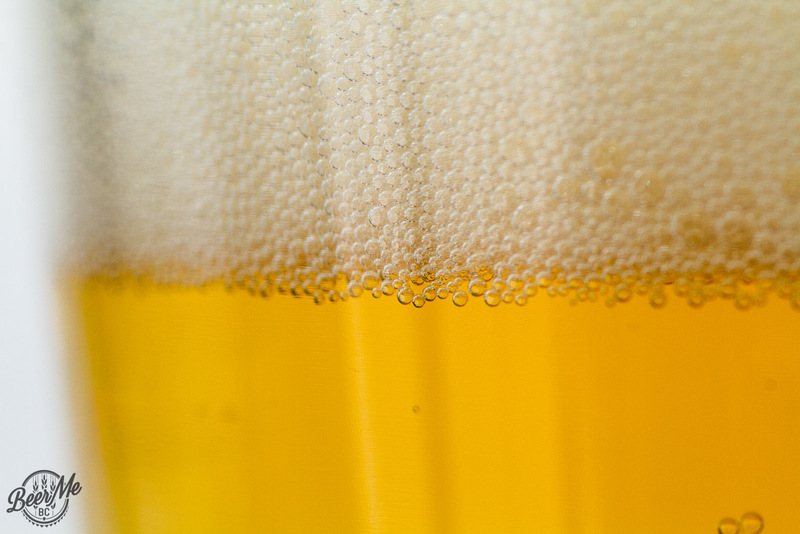 From the bomber bottle the Smoke Lager is a bright golden colour with two thick fingers of lacing head. The smell is quite smokey but not so intense as to mask the other notes. A subtle citrus and pilsner malt character comes through on the nose along side a fairly intense smoke. Tasting the beer is similar to the nose. 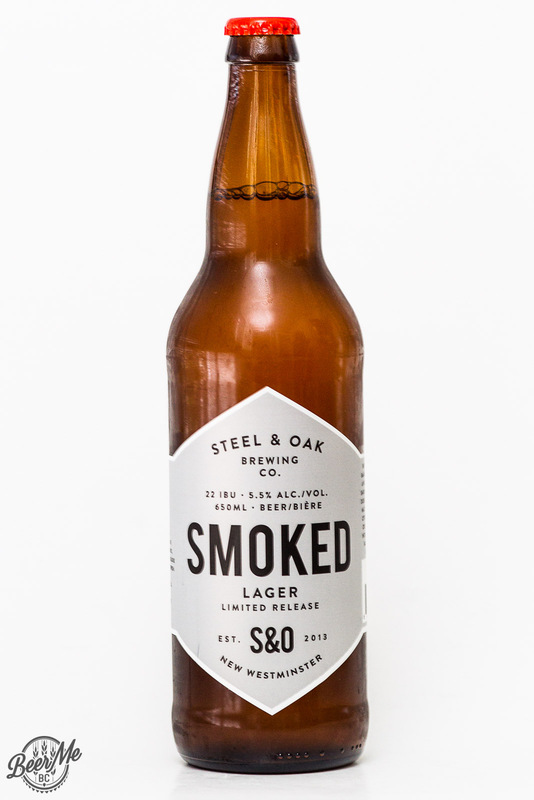 The smoke starts early on along side the mellow citrus character and crisp pilsner like flavour. This builds into a heavily smoked finish that leaves a lingering campfire flavour long after. 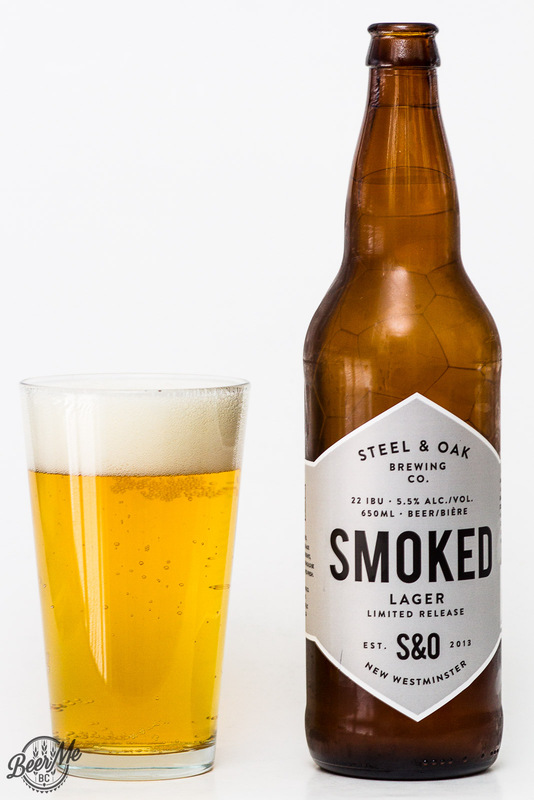 The smoke in this beer is intense and enjoyment of that flavour is a pre-requisite. 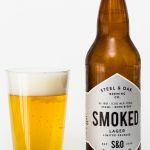 For the seasoned smoke-fan though, there is room on the palate to let some of the other, more traditional lager flavours shine.